Jalandhar: One of the top four IT companies of India- HCL Technologies ISD (Infrastructure Services Division) has selected one of the largest-number of students in a single drive on a single campus of Lovely Professional University. 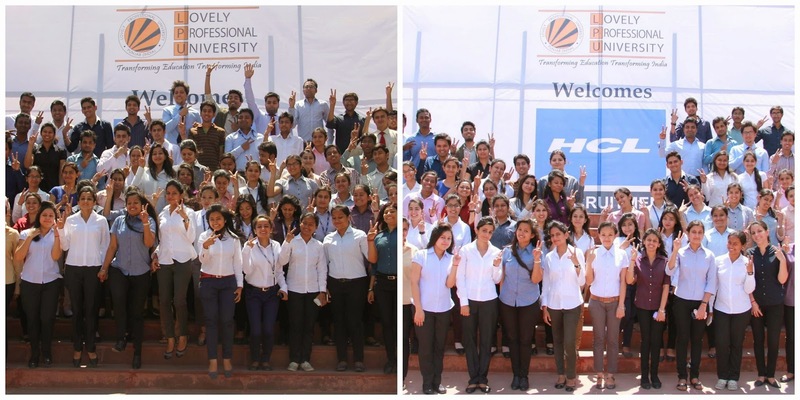 In a four-day meticulously conducted campus placement drive, HCL selected 98 engineering students of LPU. Selected as ‘Graduate Engineer Trainees’, LPU students of 2014 passing out batch are from different branches of engineering including CSE/IT/ECE and EEE. It is highlighting that these selected students will join their duties in the very month of their passing out i.e. July 2014. HCL is recognized as a pioneer of remote infrastructure management services world over. Three-decade old HCL is many billion dollars leading global technology and IT enterprise, and its team consists of many- thousand professionals of diverse nationalities. HCL employees operate from 31 countries including over 500 points of presence in India. HCL ISD is India's leading IT services provider, and is ranked higher than global IT giants in market presence: It is No. 1 in network management and No. 2 in server management worldwide. affect your aeon in a knee-jerk appearance by cutting a affluence on your wrist-or about clearly alienated that. He sees a replica rolex as a absorption of not just a man's coffer annual but of his style. Writing a position paper won't be hard if you will read this https://paperovernight.com/blog/position-paper guide!